An Evansville man is facing robbery, animal cruelty and intimidation charges following a domestic dispute Sunday afternoon. 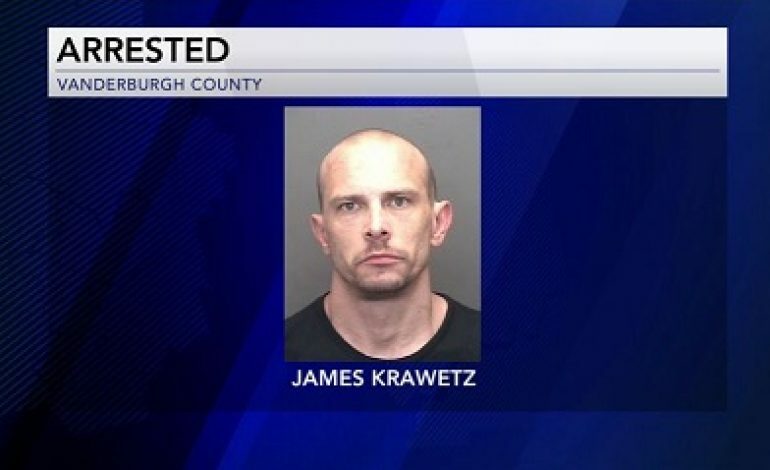 According to police, a man, identified as 37-year-old James Krawetz, was seen chasing and intimidating a woman in the 1400 Block of Eichel Avenue. Police say Krawetz was attacked by a dog, during which he allegedly stabbed the animal then fled from the scene on a bicycle. Police were able to locate Krawetz at the Deaconess ER where they interviewed him. He is currently being held in the Vanderburgh County jail without bond.